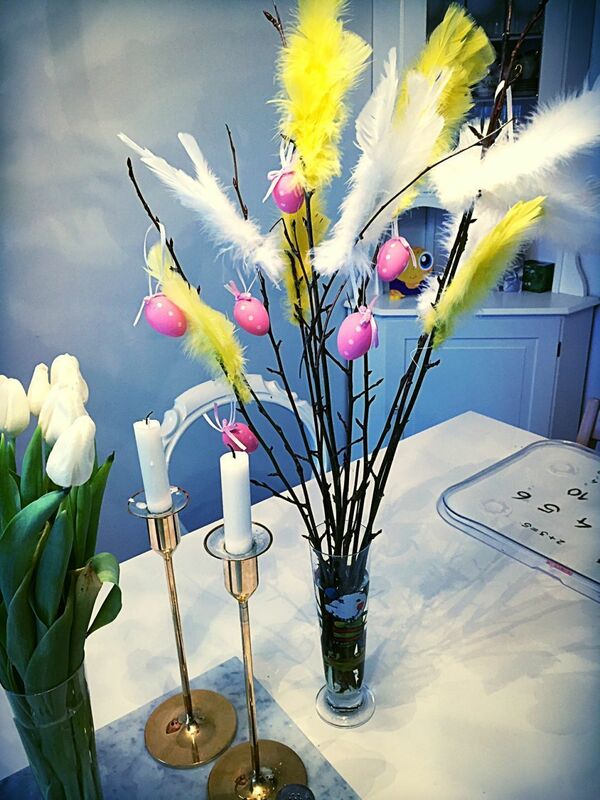 So, my wife thought it would be good if me and the little guy went to the Flower Market to find the sticks for us to make one for Easter. (I think she just wanted me and him to have a project, to which I am thankful). 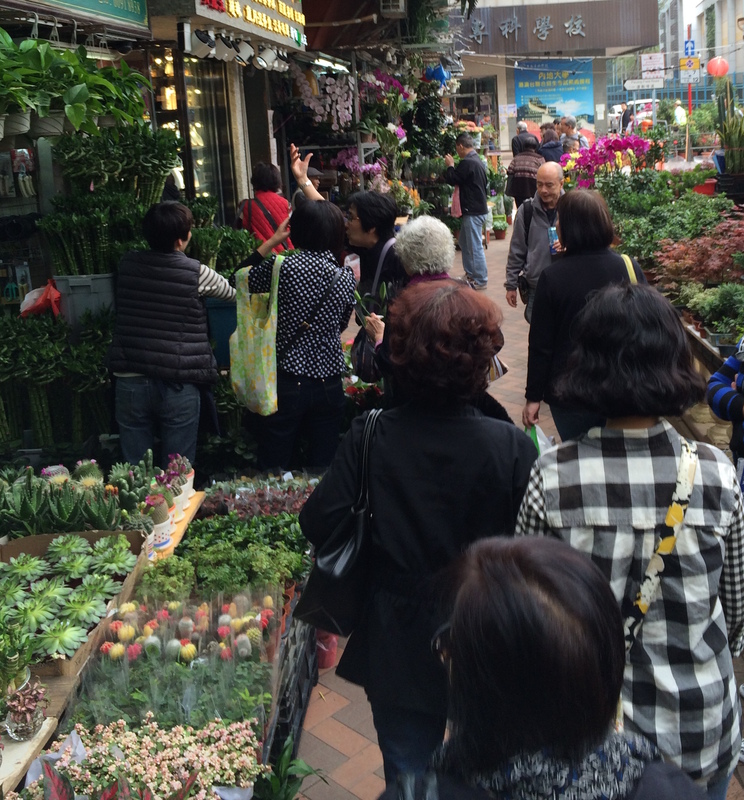 The Flower Market is basically a street with flower and plant shops on it. 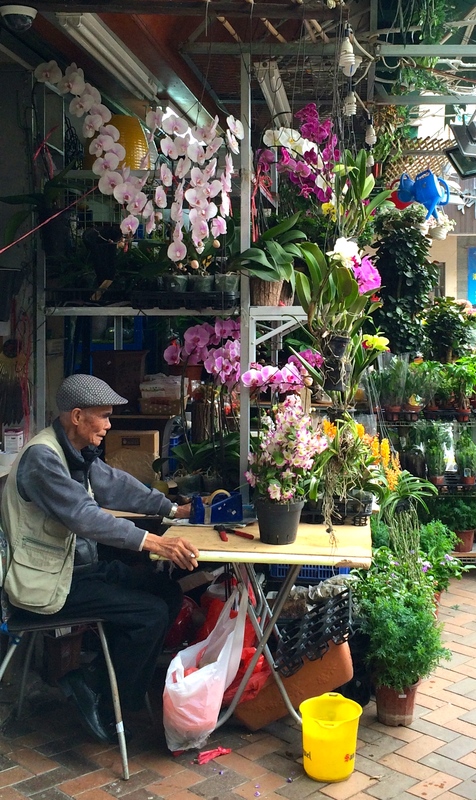 I have mentioned before that there are various “districts“, and this would be one of those districts – the “flower district” – it is not far from where Nathan Road splits, just above Prince Edward Road. this old guy just sat there looking bored with an unlit cigarette in his mouth for most of the time I was there, until he finally lit it and smoked it, looking kind of like Clint Eastwood. The orchids he has are unbelievably beautiful – especially the one right in front of him.